The Poem Farm: I, TOO, AM AMERICA - Book Giveaway! I, TOO, AM AMERICA - Book Giveaway! Linda of TeacherDance is the winner of the book - I, TOO, AM AMERICA. "As soon as healing takes place, go out and heal somebody else." If you are looking for a way to help teachers and children whose classrooms and libraries have been devastated by Hurricane Sandy, please consider this donating to Literacy Lifeboats, an initiative with the Teachers College Reading and Writing Project to help replace classroom libraries, easels, rugs, and all manner of things that help children connect with books, worlds, and healing words. 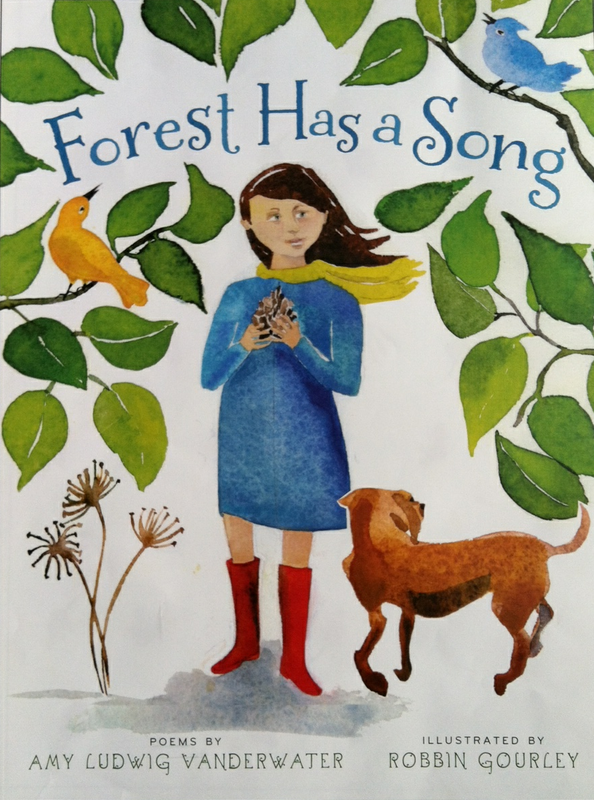 Join Naomi Shihab Nye, Tomie DePaola, Lucy Calkins, Lois Lowry, Avi, and many of your other favorite authors who are helping rebuild classrooms and libraries. Click here for more information, and please pass this along. Thank you! 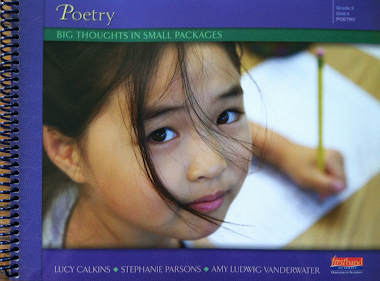 I am away from this blog for the month, tapping away on a few lessons for a new grade 2 poetry unit of study with Stephanie Parsons and Lucy Calkins. 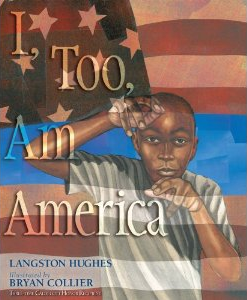 Still, today I would like to offer a giveaway of this gorgeous book, I, TOO, AM AMERICA, the beautiful Langston Hughes poem illustrated by three-time Caldecott Honor Recipient Bryan Collier. 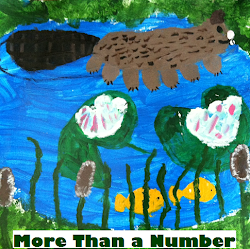 This book comes to us from Jane Bell at B is for Books in Orchard Park, NY and has been signed on the title page by Bryan Collier. Election Day is over. May our country work and grow in the way of peace. Here are a couple of poems to think about from The Poem Farm archives. Please just leave a comment on today's post to be eligible to win a copy of this important book. I will draw a winning name on Saturday and will announce the winner here and on The Poem Farm Facebook page! Thank you, Jane, for your generous book donation! If you will be at NCTE next week, please come to our Saturday poetry panel about where poems come from. There will be many Poetry Friends there...and I can't wait! The book looks wonderful, Amy. And thank you for sharing the poems. I am hopeful that people can begin to work together for all of the good of our country. We read a lot of poetry at our house, and we really enjoy Langston Hughes. My sons and I would love this! The book looks wonderful! 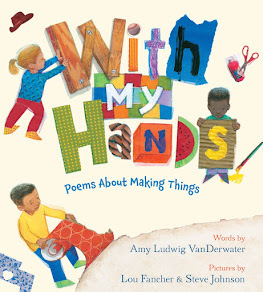 Let's chat soon about a Spring poetry unit for first grade. Coffee? Hi, Amy. I love the image in "Hope." Thanks for the information about Literacy Lifeboats. Thank you for the book offer; I will happily use it in classrooms I visit! But most importantly thank you for the link to the TC fundraising efforts. I have been thinking of ways to help since I am originally from Long Island and have my family there. I am planning to do a benefit Poetry Night here and this may be the perfect place to send our donations. So many still with no power after 11 days....which is just the tip of the iceberg. Janet F.
My faith is restored and I'm very hopeful that our country can work together, heal, and move forward. I love Hughes' poetry and Collier's art. Thanks for the giveaway :). Thanks so much for posting about Literacy Lifeboats. What a great thing to be part of!! I love Hughes and Collier together so that book is a real treasure. I don't need to be in the drawing, Amy, but I did want to thank you for sharing this - looks like a terrific book. Thanks for this. Hope your other writing project is going well. Thanks for the LL link--I had forgotten to think of all the damage and disruption to school buildings (despite a miniflood of my own floor recently). The new book looks like a fine companion to the other "civics" poetry books that have come out recently. 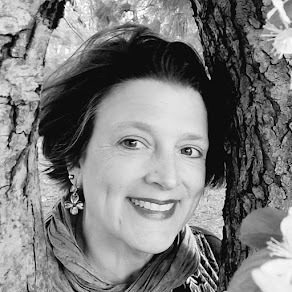 I featured a poem of yours on mjlu today--I hope you don't mind. It suddenly seemed like the right convergence of seasonal joy! (I also took a great vid of my class out raking and reciting "Raking" but thre wasn't enough memory to save it. Have a great time at NCTE--I can't make it this year boohoo! Looking forward to your blog return, Amy - but also thoroughly enjoying the poems in your deeply delicious archives. Thanks for highlighting this book and the LL initiative. Have fun in Vegas! This is a wonderful book! See ya soon! Thanks Amy-I'm thrilled to have what looks like a wonderful book. Have fun at NCTE!